The International Centre for Settlement of Investment Disputes (ICSID) is the premier international investment arbitration facility in the world. 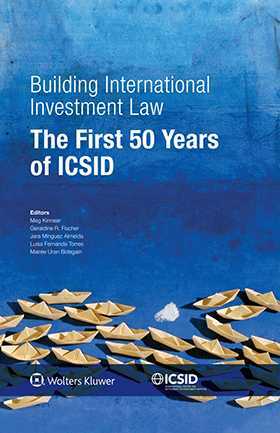 In its half-century of existence ICSID has administered more than 525 cases with parties, counsel, arbitrators, and conciliators from virtually every country in the world. Collectively, ICSID jurisprudence has defined international investment law. Because the law of international investment continues to grow in importance in an ever more globalizing world, this book is more than a fitting way to mark the past 50 years and to welcome the next 50 years of development. It will prove both educational for practitioners new to the field and informative for seasoned investment lawyers. Moreover, the book itself is a landmark that will be of great value to professionals, business people, scholars and students interested in international investment law.